It doesn't really get any more obvious than that, so we'd be willing to put some money on the table that the next iteration of the Note will definitely be the highlight of the event. Digital Daily didn't stop with event details back in July, either; it also gave some pretty believable specifications about the device, noting that it could have a 5.5" display with a smaller bezel, which should keep the overall device size comparable to the Note 1. Otherwise, the device is said to pack similar guts to the GSIII, including a 1.5GHz quad-core Exynos processor in some markets, and a Qualcomm Snapdragon S4 in others. 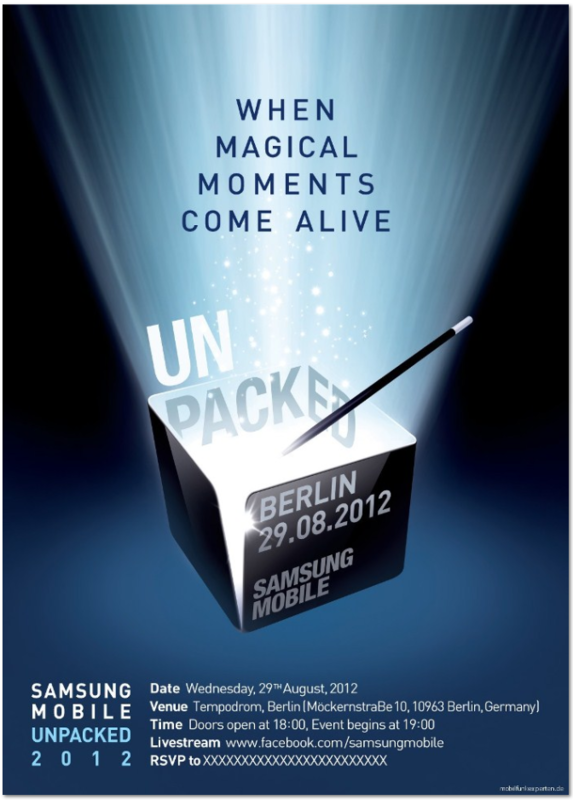 And let's not forget about the other event Samsung is holding in August, which is happening on the 15th. We have far fewer details about this particular event, only that the "next Galaxy device" will be announced... Galaxy Note 10.1, anyone? 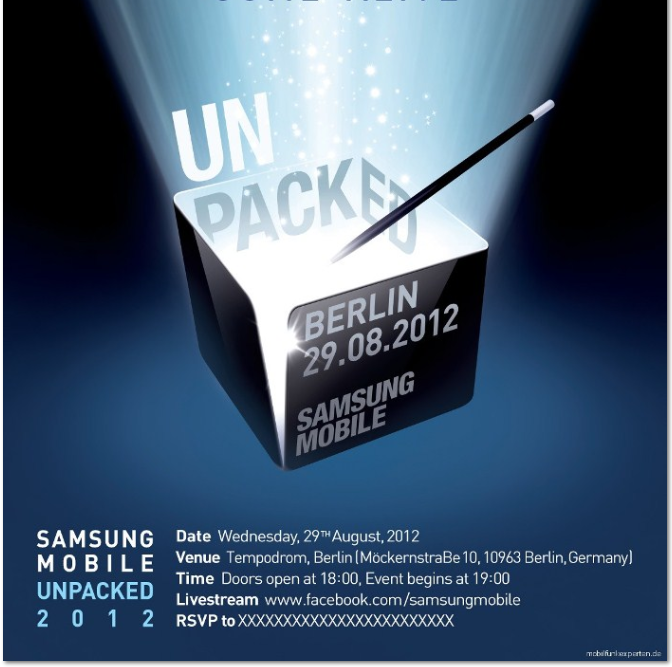 Looks like August is going to be a huge month for Samsung.